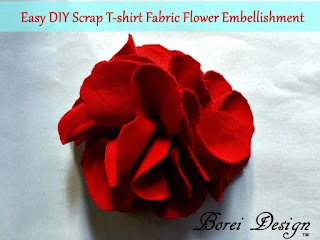 How To Make An Easy Scrap T-shirt Flower Brooch or Embellishment. 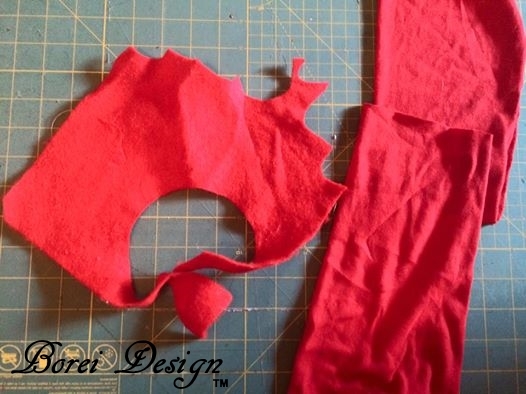 Have an old t-shirt laying around that's no longer fit for wear? 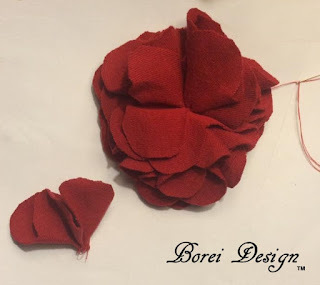 Before you trash it why not turn it into a cute flower brooch or embellishment? See the easy instructions how to do it. I started with leftover pieces of fabric from the sleeves of a t-shirt and a piece of scrap craft felt. I traced a group of four circles on paper using an old prescription bottle to make the petal grouping pattern. 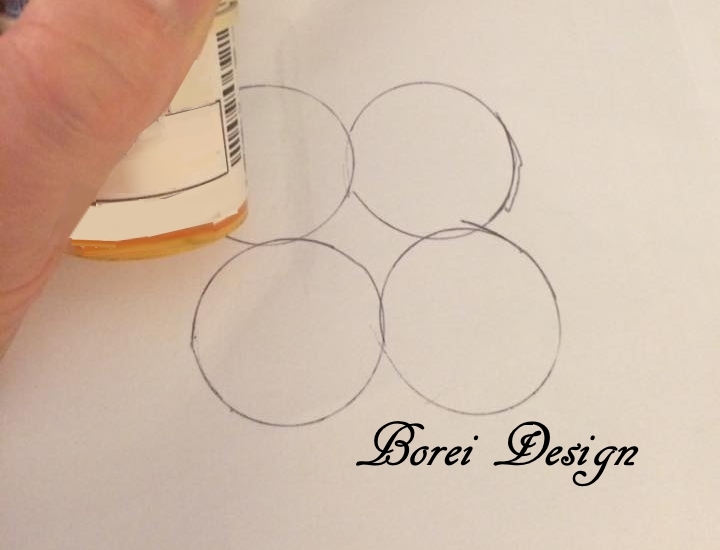 I also used the bottle to trace a single circle on the felt. I then cut out the felt circle and around the petal grouping pattern. I then traced and cut out several of the petal groupings using my paper pattern. I folded each petal grouping in half, twice. I then sewed four of the folded petals unto the felt circle. I then continued adding petals. 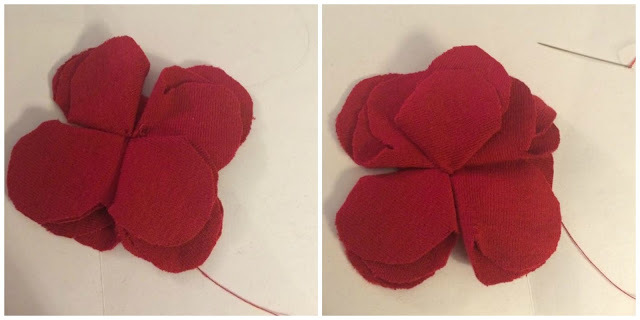 Once the flower was full, I gathered one petal grouping in the center and sewed it directly into the center of the flower. I then flipped over the flower and sewed a brooch pin to the back of the felt. I turned it over, fluffed up the petals and it was done. These fabric flowers can be made not only for brooches but also to embellish clothing, hair bows and many other crafts. 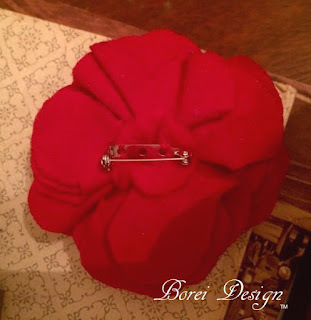 Hope you enjoyed and be sure to sign up for update notices for future projects and happy crafting! 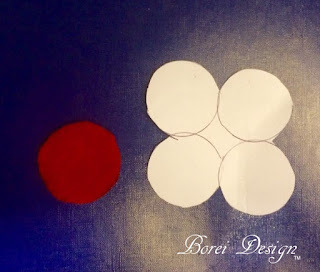 Note: This project is part of DIY Crush Link Party. 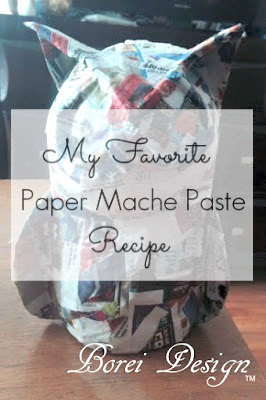 Thanks for sharing over at the DIY Crush Craft Party. Such a great way to use up felt scraps! I can see a rainbow flower made this way. We've added this to our Pinterest board. Don't forget to stop by next Thursday to add your tutorials to our next DIY Crush Craft Party! What a great way to add some flair to a boring shirt or top. So glad you shared this with us at the DI & DI Link PArty. Have a great week! Great way to use up something you might throw away. Does the flower hold it's shape? Or maybe spray with Mod Podge once you fluff it out? 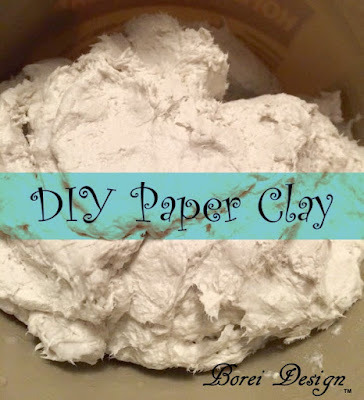 (for me a DIY isn't done until I can incorporate Mod Podge!) As for your graceful self (spilling on your sample shirt) my husband used to say that the value of my clothes goes down the longer the day is. Hi Donna! I LOVE Mod Podge but I think I would skip it on this. 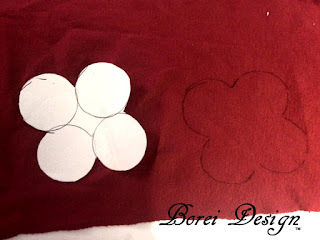 As long as you add lots of petals it will stay fluffy and soft (without the mod podge). Lol about the spills. My coworkers used to say if I ever showed up to work without coffee stains on my shirt, they wouldn't recognize me. Like the layout and your blog in general. You give me hope for me in the future with my own blog.